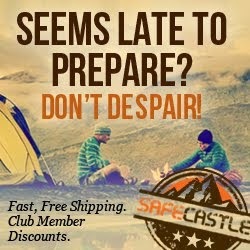 The Safecastle Coupon Bunker password will save you! These coupon codes and product discounts cannot be advertised. 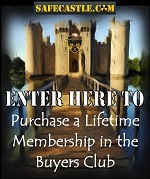 We've even got a free lifetime buyers club membership code in there at the moment. 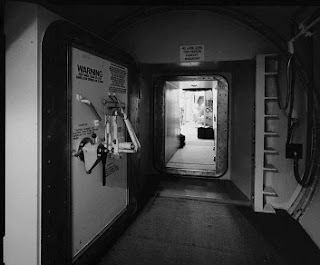 The thing is, you've got to "know somebody" to get through the vault door. By that I mean, the password into the bunker is the "last name" in our company founder's pseudonym (alias). Not obvious enough? OK--how about this ... Glenn Frey sang: "Every form of ______ has its price." Or email Vic for the password. 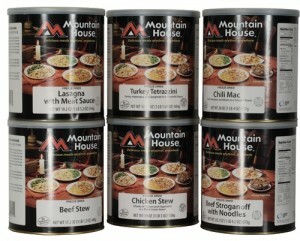 Last August a sudden onslaught of customer orders fully depleted the stock of Mountain House canned food at the factory warehouses. The word PANIC clearly applies. Since then, it's been very difficult to find the varieties you want out there. 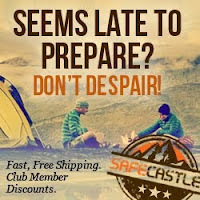 But now--most of the canned varieties are available again to Safecastle customers! All factory-fresh! Shipped direct from the factory and from our warehouses within one week. How long will inventories last? Who knows? But right now the gettin' is good. And you know us ... we love our blockbuster MH sales, so we're going all-in with discounts on MH canned food of between 32% to 46%! 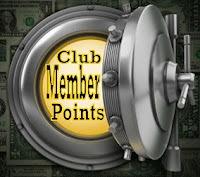 PLUS buyers club members receive Safecastle reward gift certificates for their qualifying MH purchases!